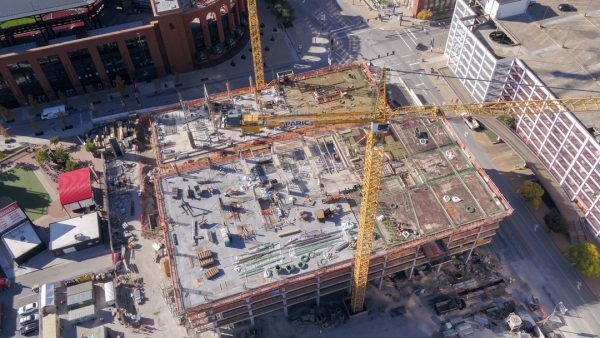 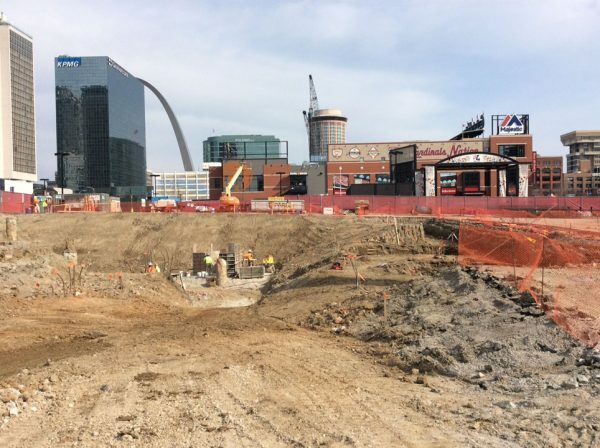 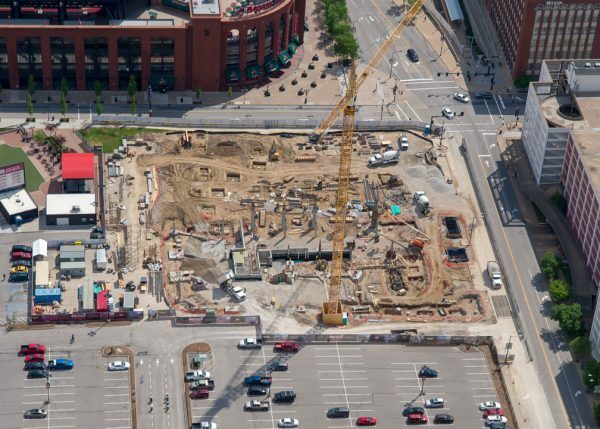 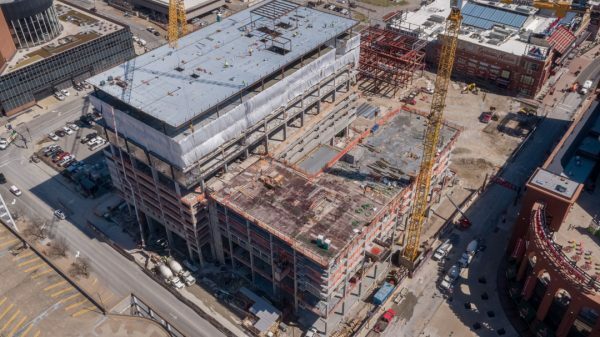 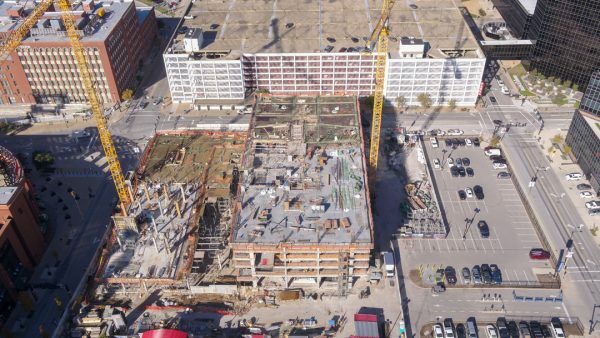 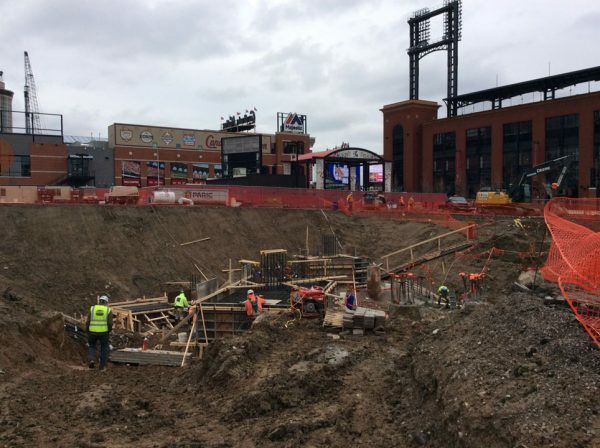 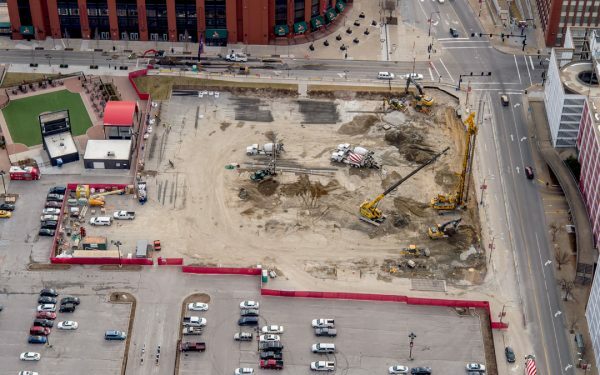 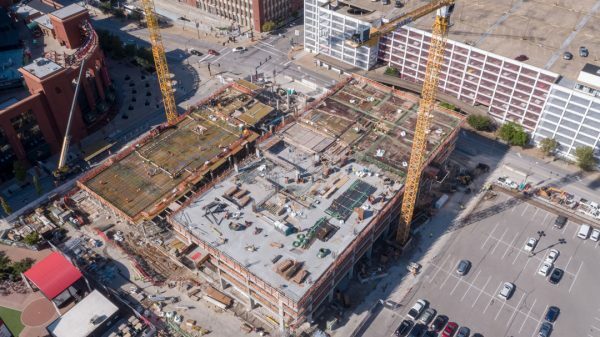 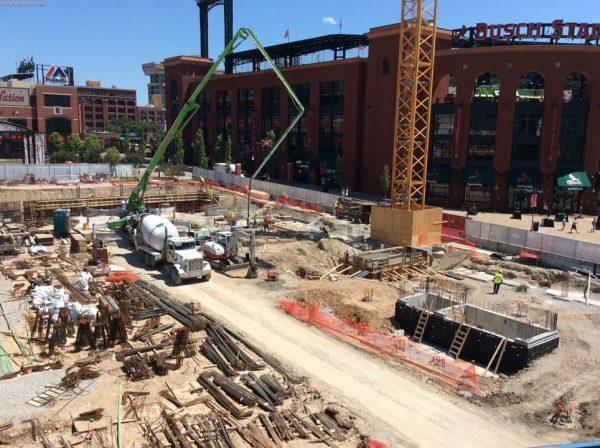 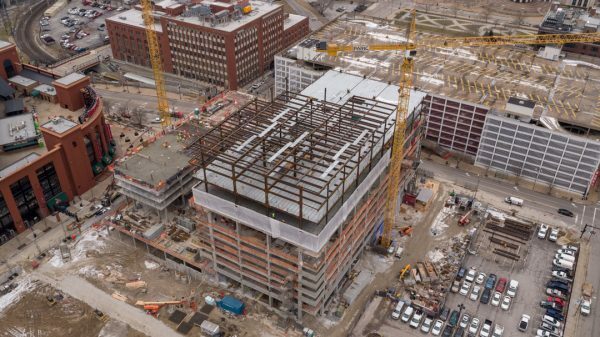 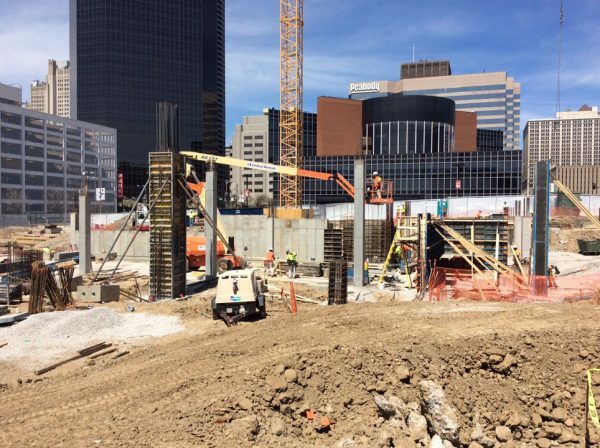 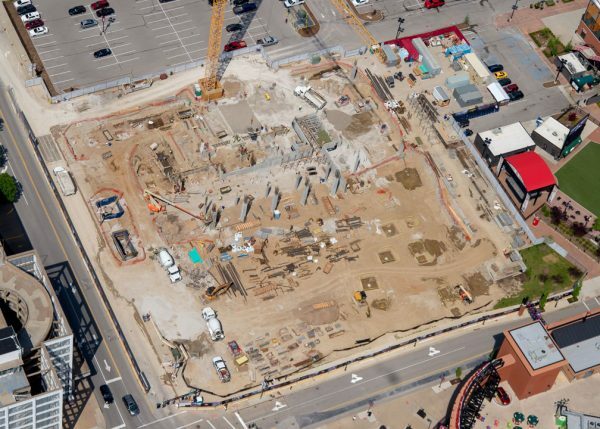 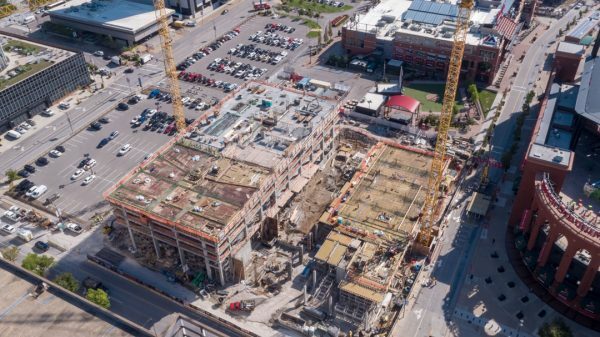 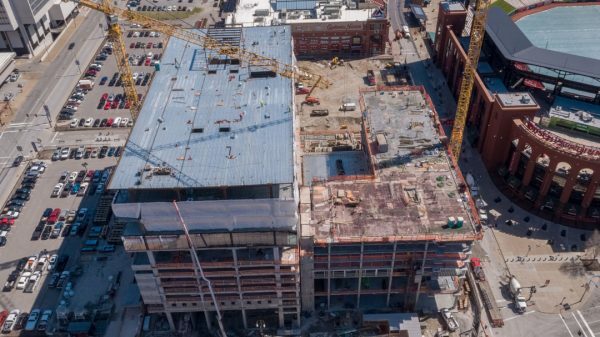 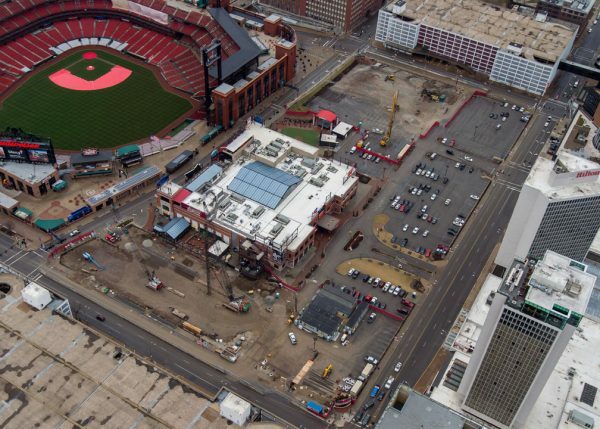 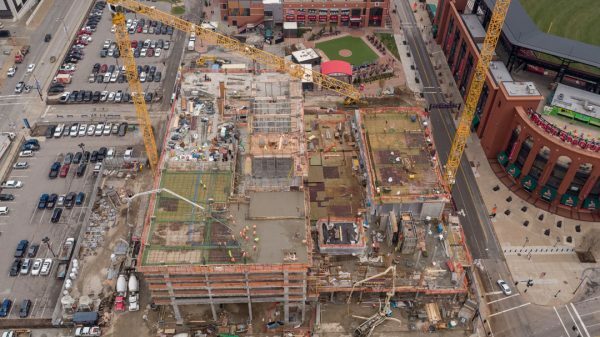 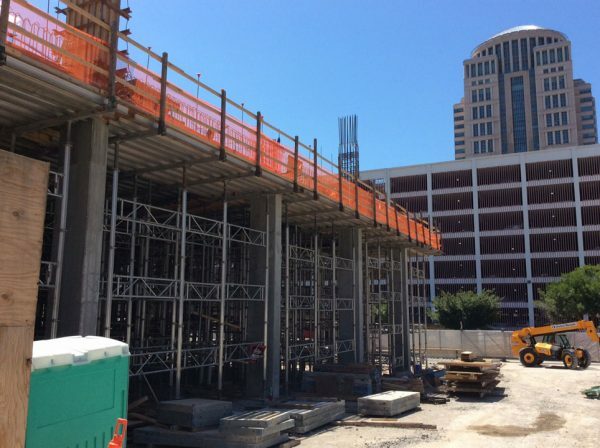 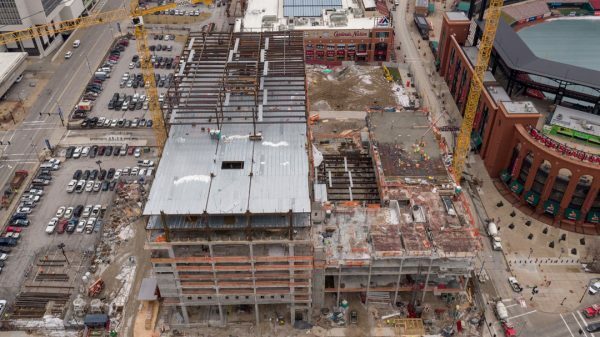 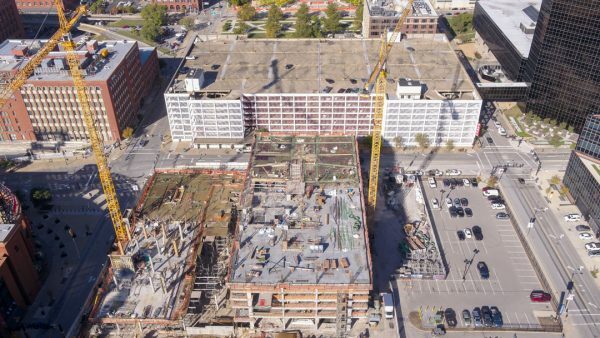 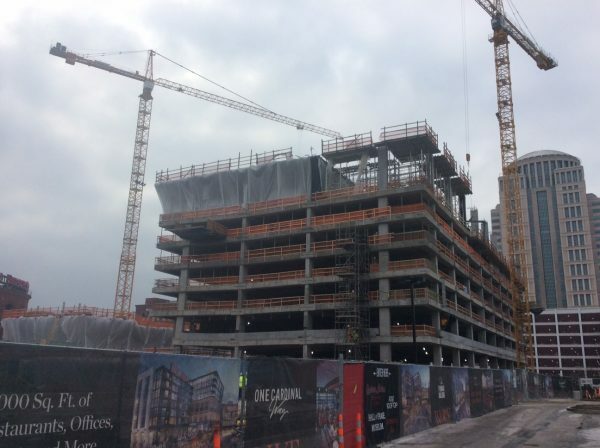 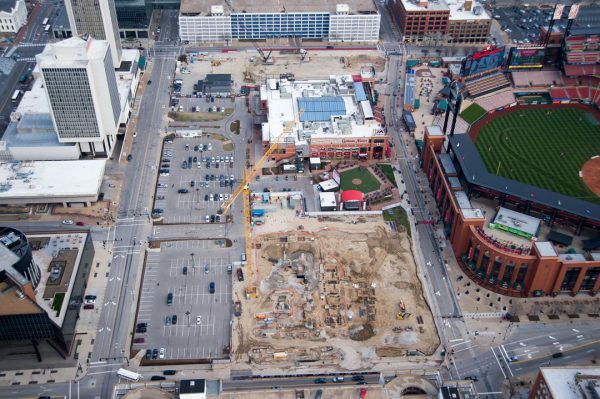 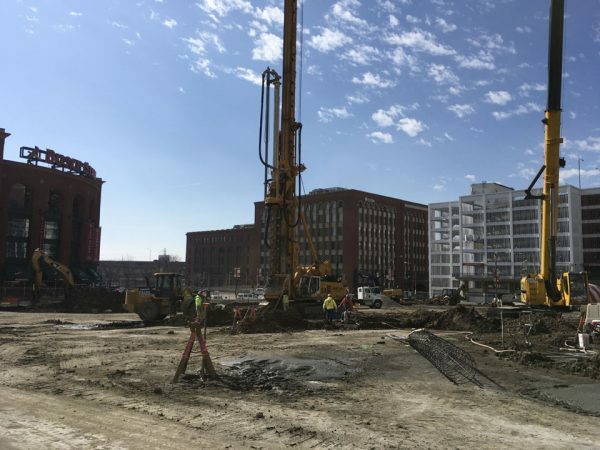 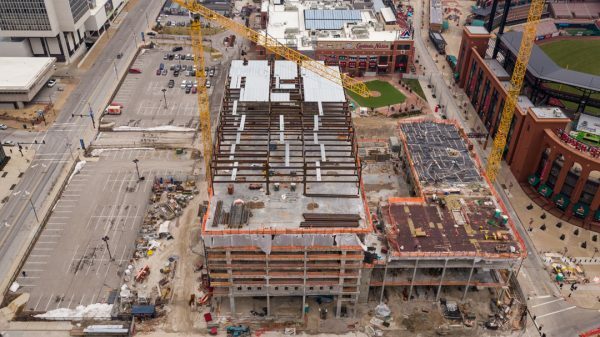 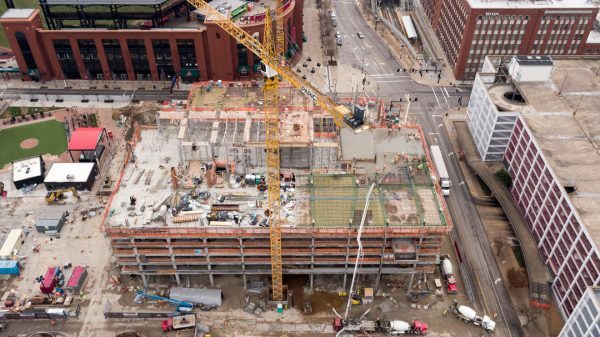 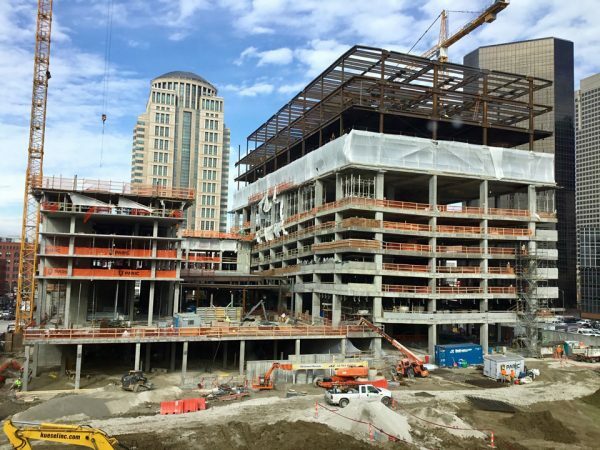 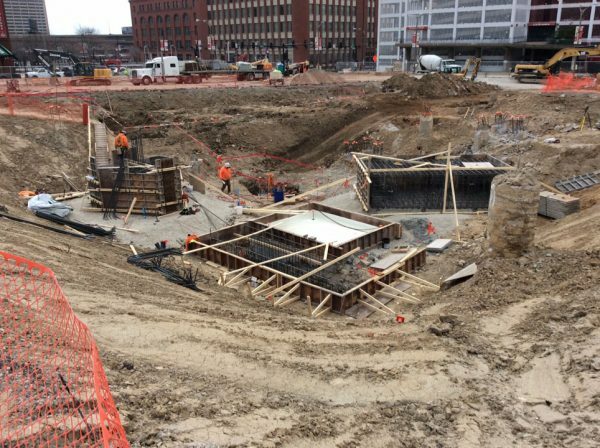 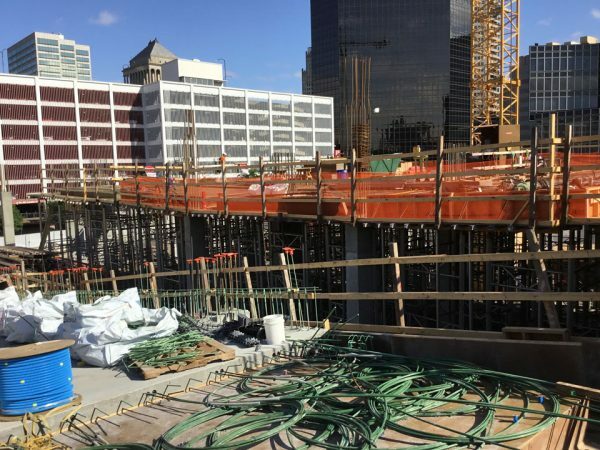 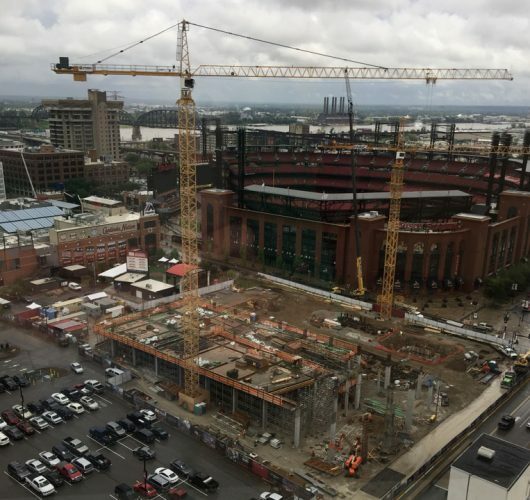 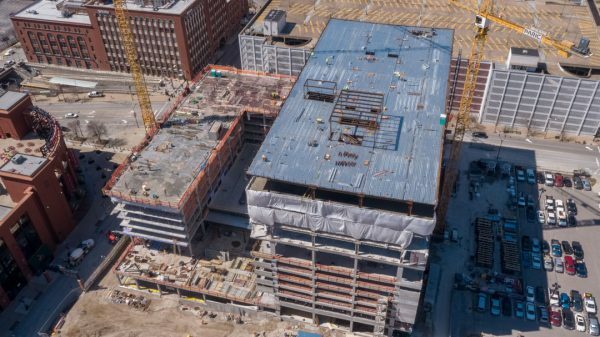 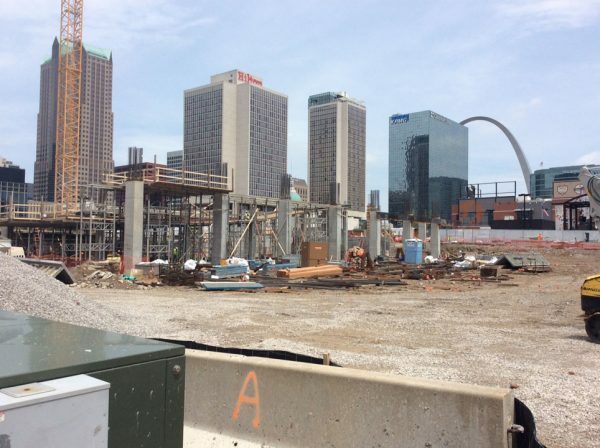 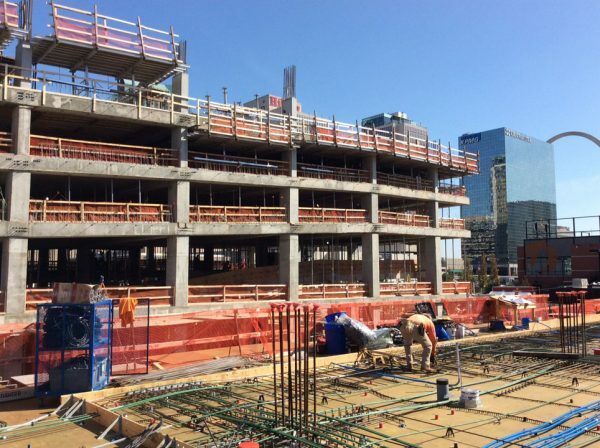 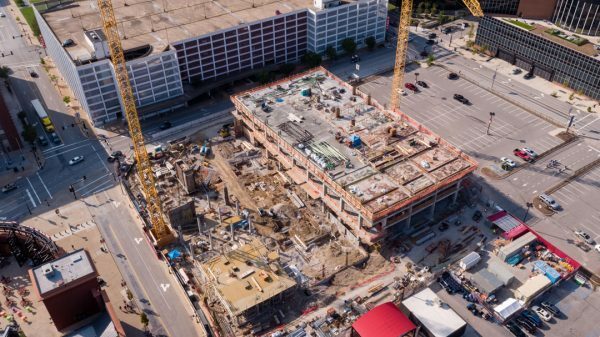 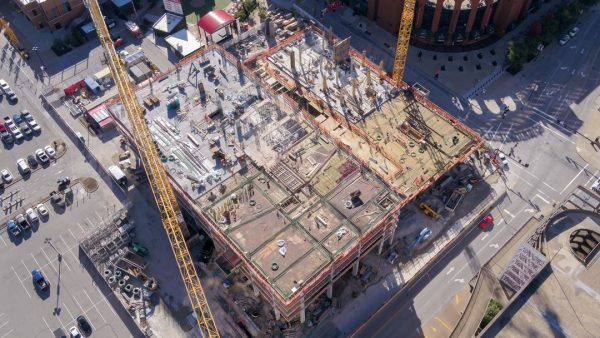 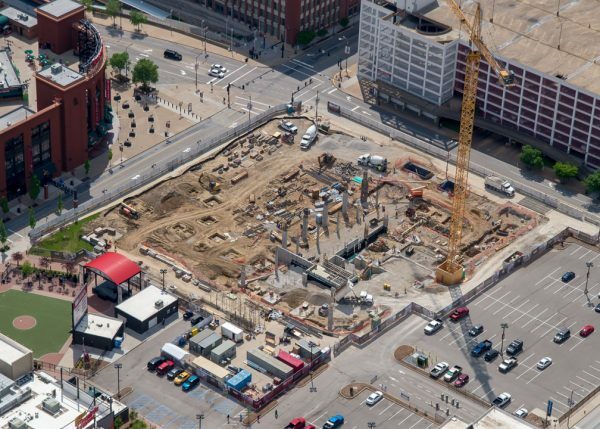 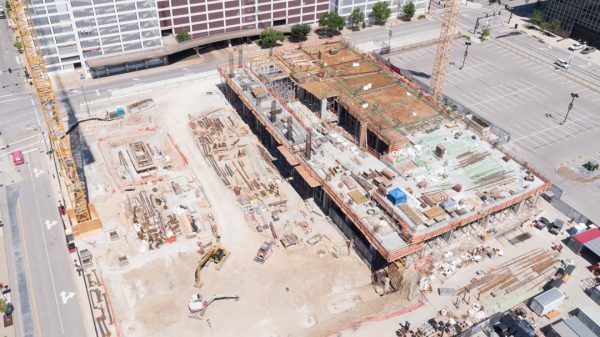 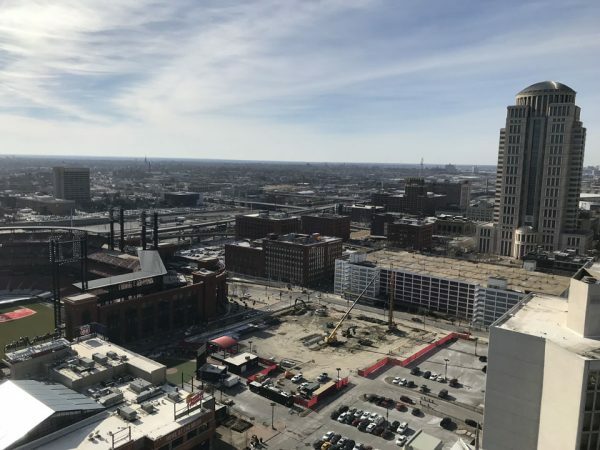 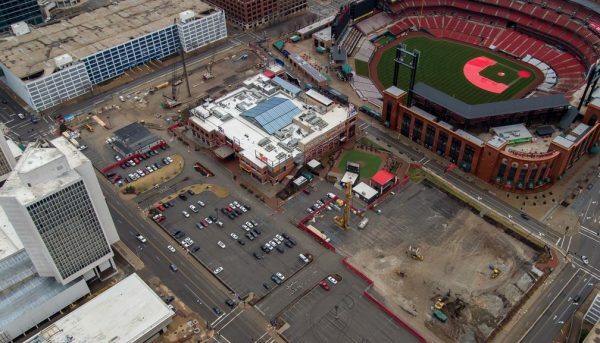 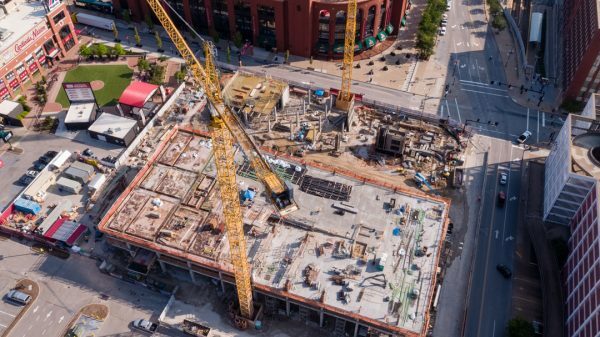 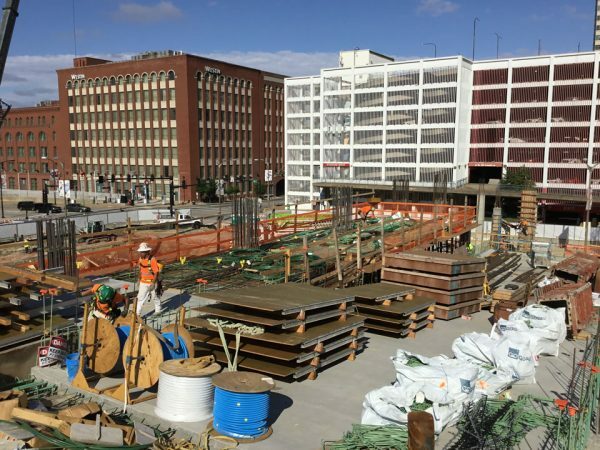 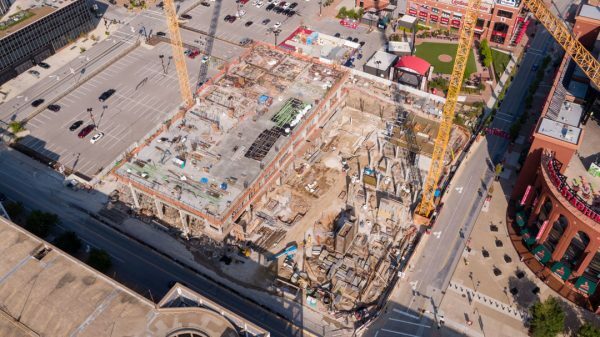 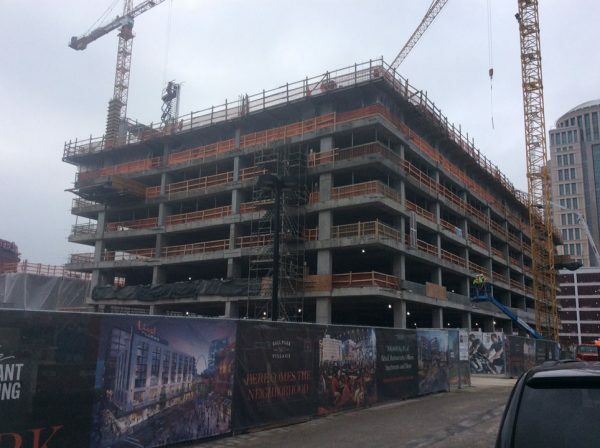 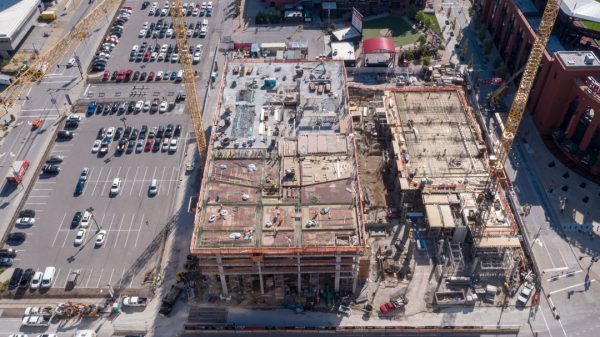 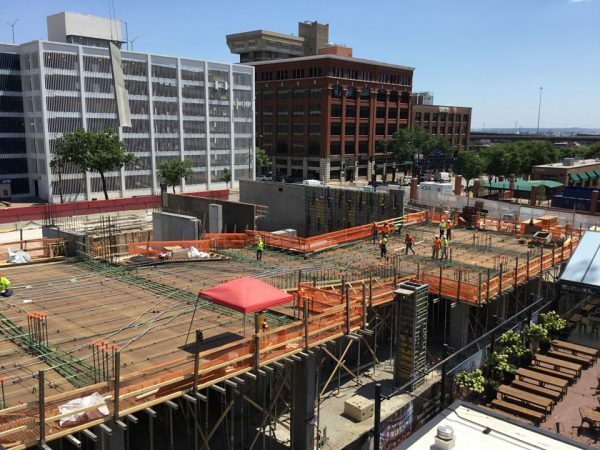 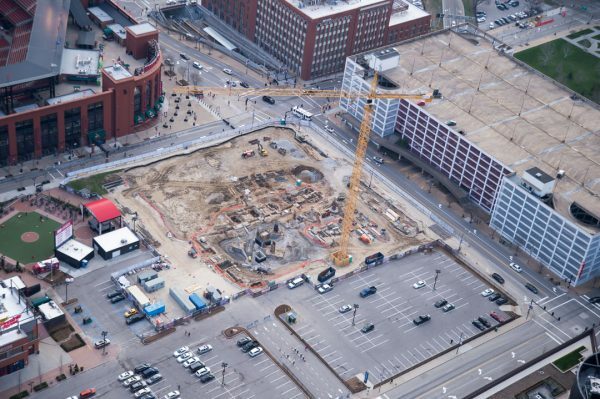 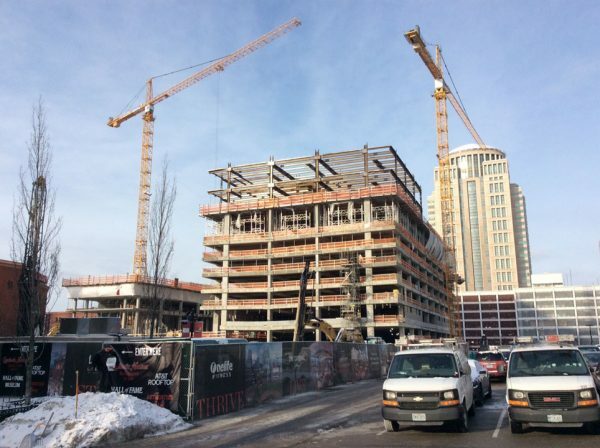 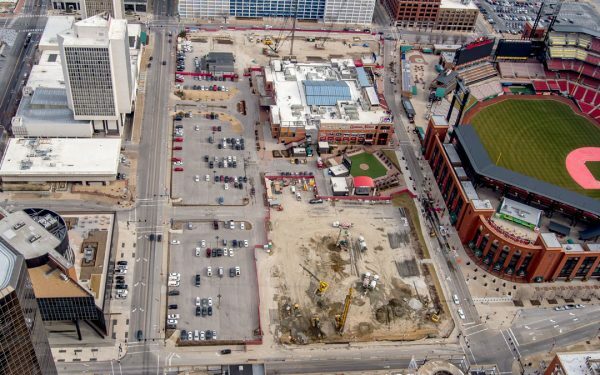 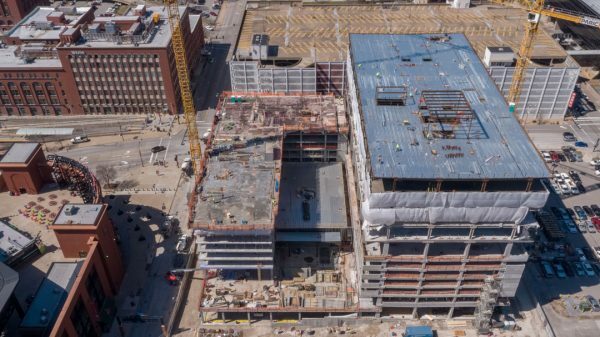 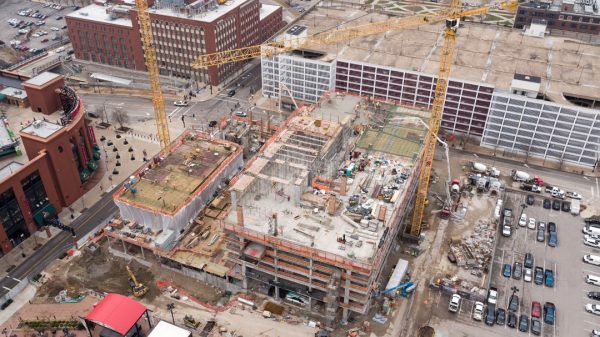 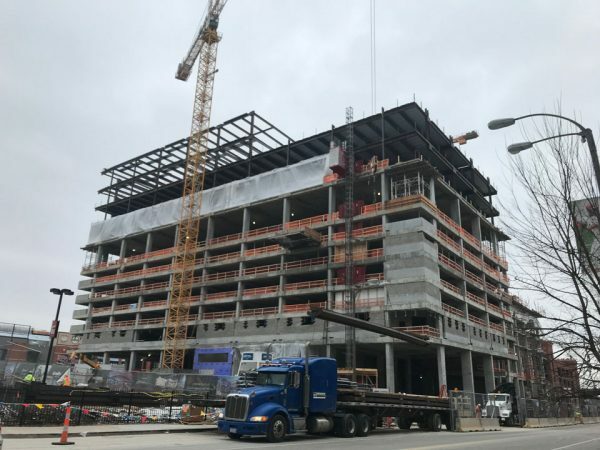 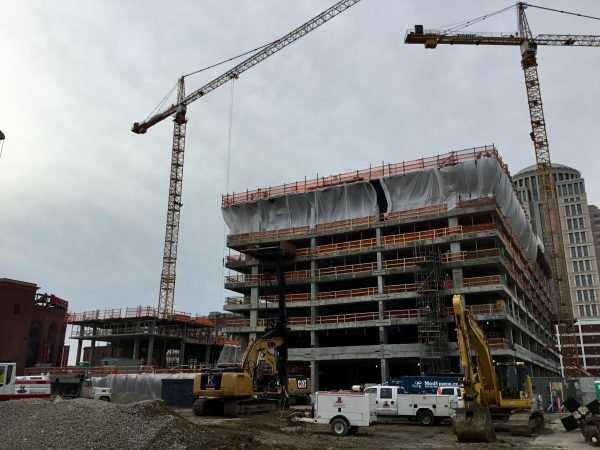 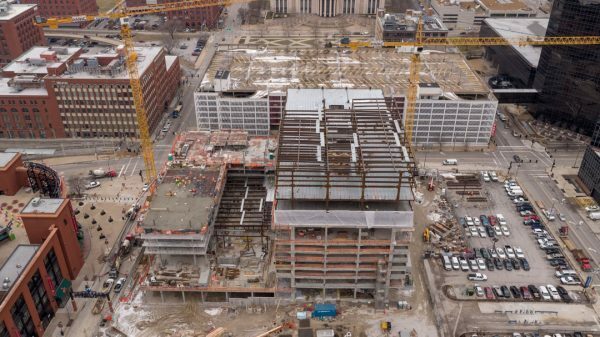 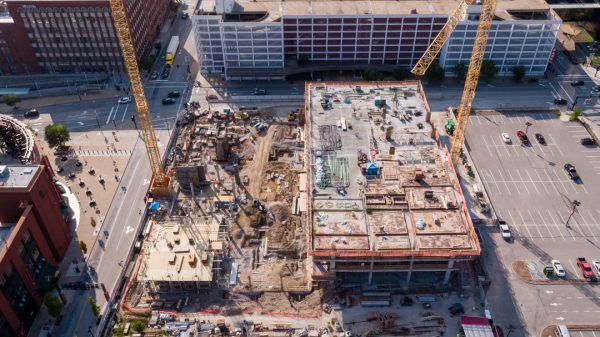 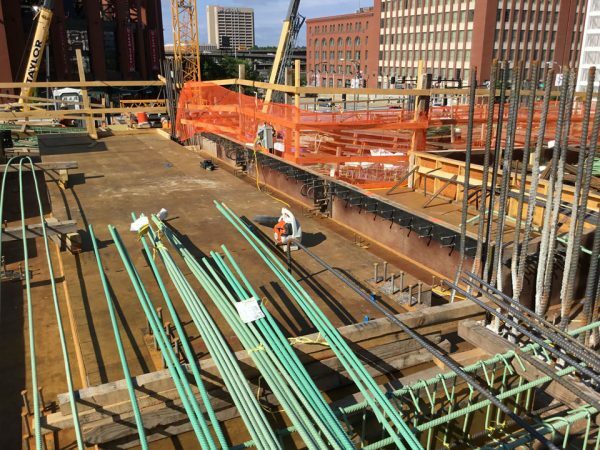 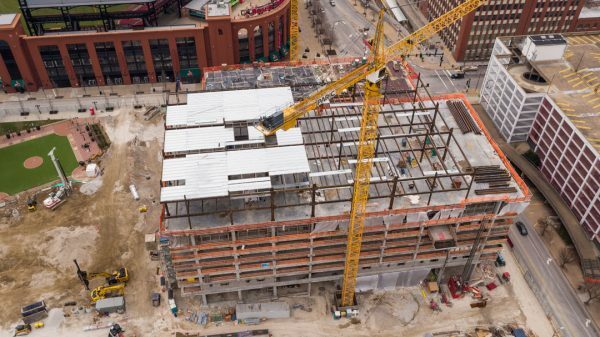 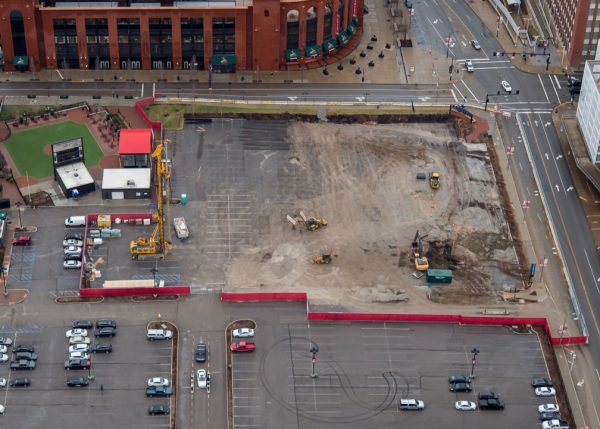 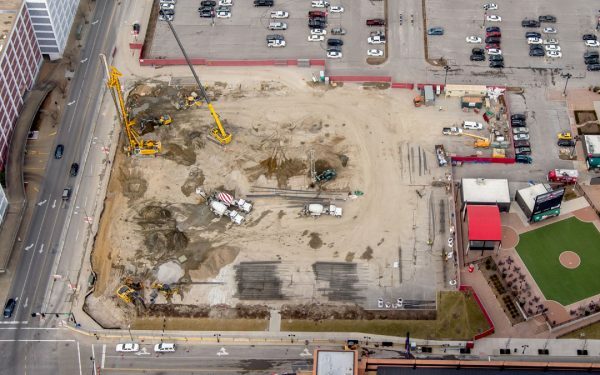 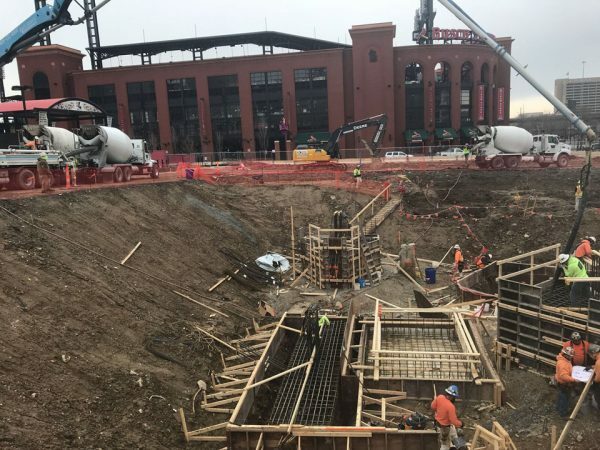 This part of Ballpark Village Phase 2 includes a 10-story highrise with Class A office space, the first new Class A office building to be constructed in downtown St. Louis in almost 30 years. 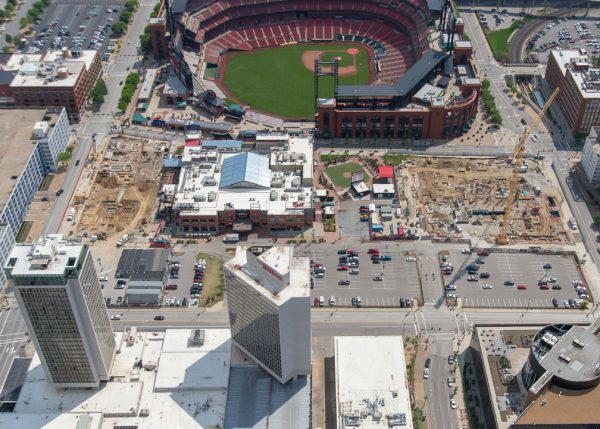 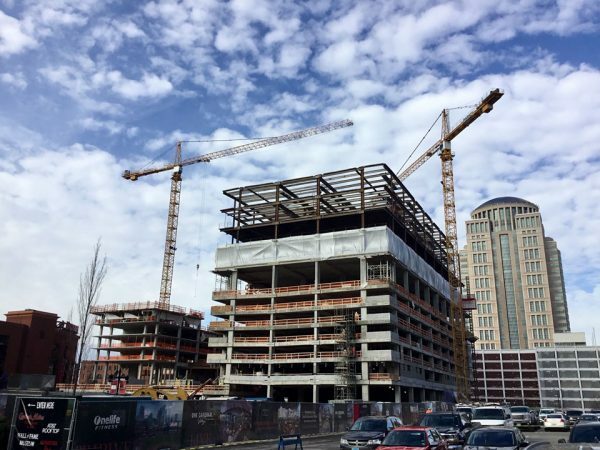 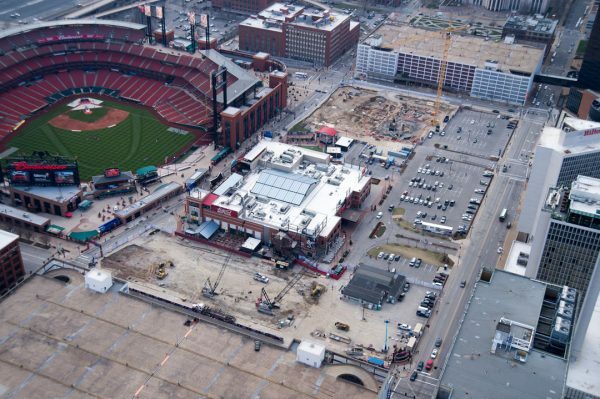 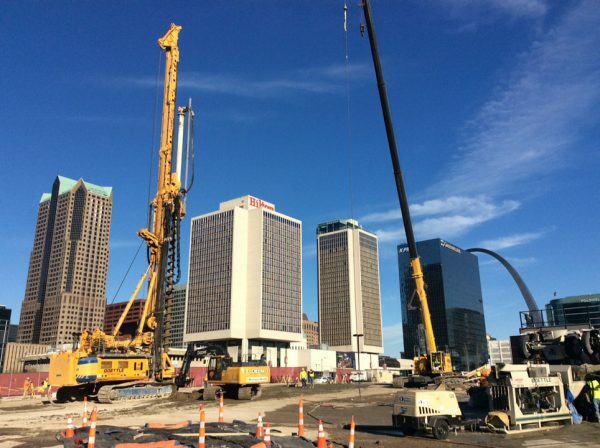 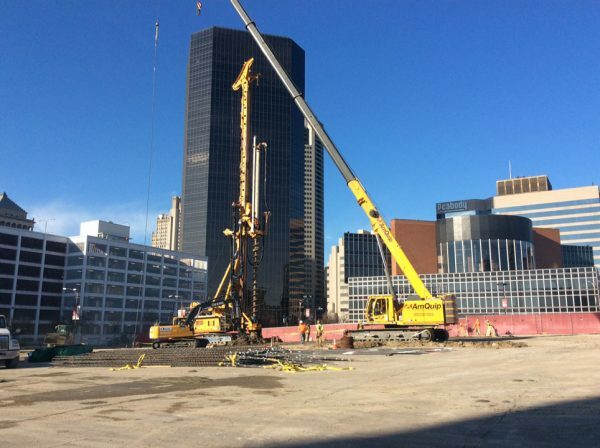 Located at the corner of Clark and 8th Street and across from Busch Stadium, the 117,000 sq. 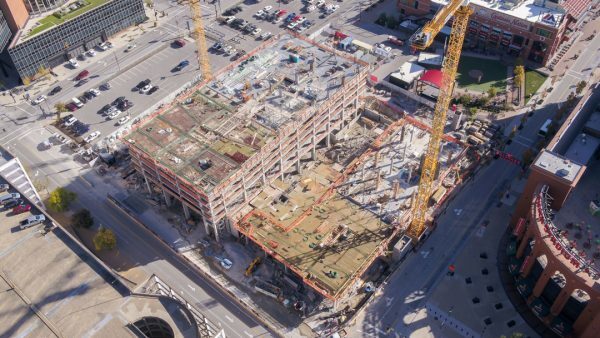 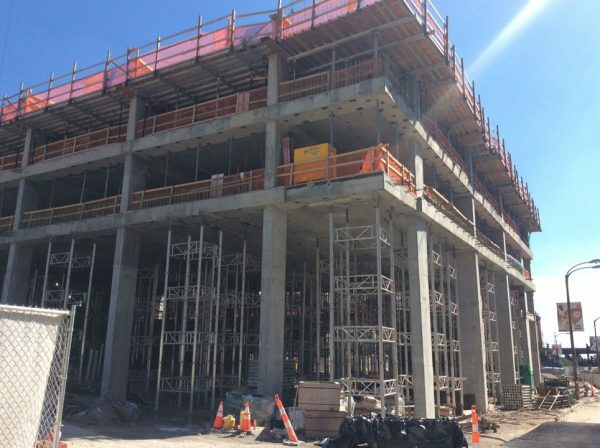 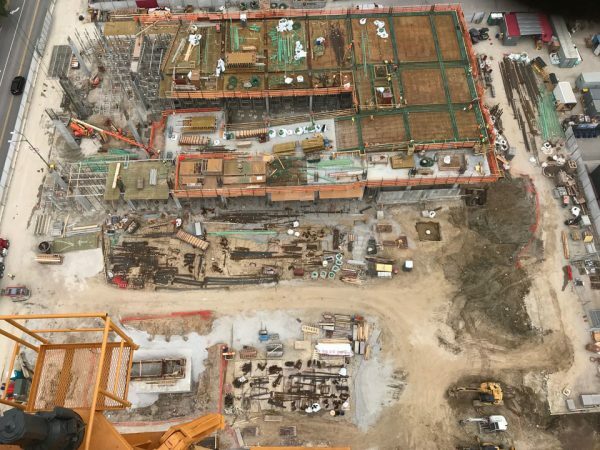 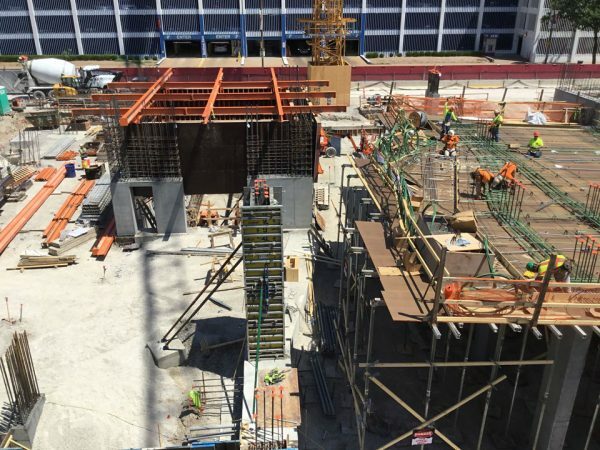 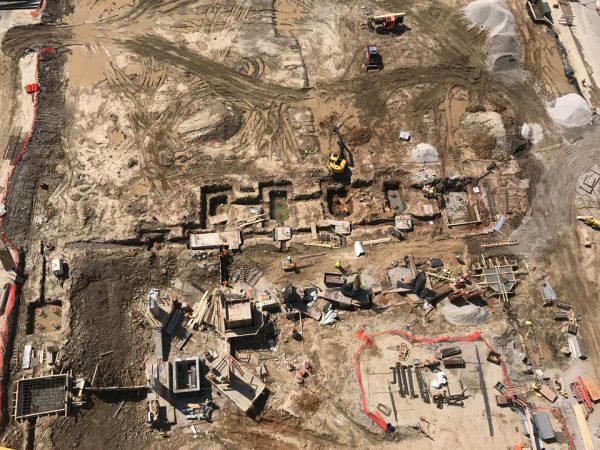 ft. building will also include a below-ground parking garage, street-level retail, restaurants, and additional entertainment space.